Alabama Shakes On World Cafe : World Cafe Hear the rock 'n' roll quartet perform its enthusiastic, soulful songs live in the studio. 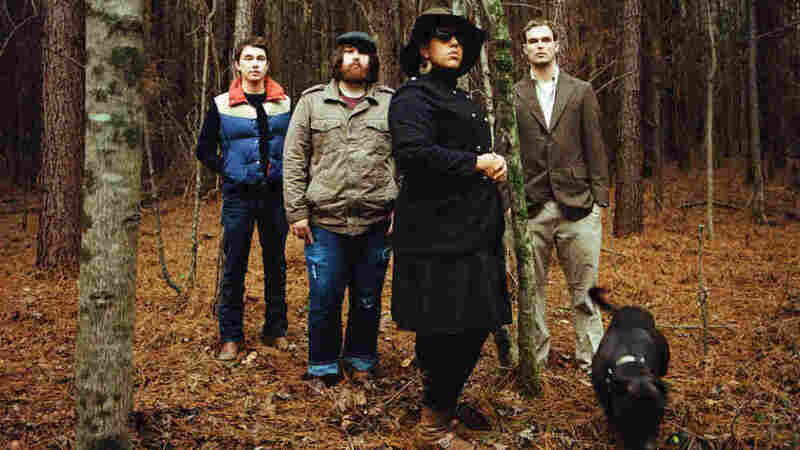 Alabama Shakes' members infuse rock 'n' roll with soul, blues and country. Alabama Shakes, a soulful rock 'n' roll quartet, is riding a well-deserved wave to fame. Since the release of its self-titled debut in 2011, the band has entranced listeners with its diverse and energetic songs. Alabama Shakes' style is marked by lead singer Brittany Howard's powerful voice and the group's irresistible energy. Together, they enthusiastically blend rock with soul, country, blues and roots. The band's deft, gritty and joyous soul revival has attracted widespread praise — especially for Howard, whose vocals have been compared to those of Janis Joplin and Otis Redding. On this episode of World Cafe, Alabama Shakes' members talk with David Dye about the Muscle Shoals scene. Hear Alabama Shakes perform live, including the title track of the band's latest album, Boys and Girls. This segment originally aired on January 26, 2012.